The Apple Watch and its myriad of features is a veritable smartwatch Swiss Army knife, but one of its simplest joys is automatically unlocking your Mac, instead of using your password. 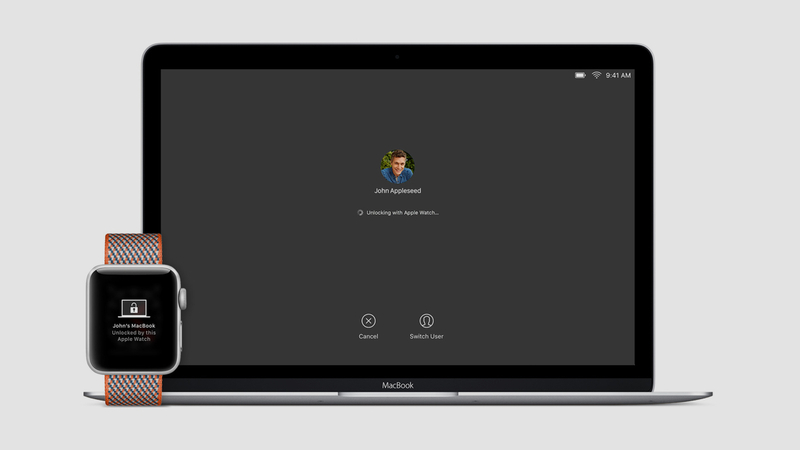 Unlocking a Mac with Auto Unlock is quick and easy, and works like magic. Your Mac is able to detect when your Apple Watch is nearby and eliminate the need for a typed password. And it's secure, given that you've already authenticated your Apple Watch with your PIN, and the heart rate monitor has detected it's stayed snug to your wrist. Hey, if it's good enough for Apple Pay, it's good enough for your Mac. But how do unlock a Mac with an Apple Watch? Whether you own a Series 1 or Series 4, we've got a quick guide with all the details on how to set up and use the Auto Unlock feature. Auto Unlock is a seriously handy feature, but you're going to have to meet a few requirements in order to set it up and ensure it works consistently. The first one, unfortunately for some, is that your Mac is a Mid-2013 edition or later, and that it's running on macOS Sierra or later. Thankfully, all Apple Watches can tap into the feature, providing they can run on watchOS 3 or later. However, to use Auto Unlock with an Apple Watch Series 3 or later means the accompanying Mac will have to download macOS High Sierra. Two-factor authentication (note: not the same as two-step verification) will also need to be enabled on your Apple ID. That's something Apple itself can point you towards, if you're having trouble. And if you're not clear on what edition your Mac is, and whether it supports Auto Unlock, you can easily check on your computer. Hold the Option key and choose the Apple menu > System Information. From there, hit the Wi-Fi menu on the sidebar and look for "Auto Unlock: Supported" (or not) in the main window. Providing you're all set up, you'll have access to your Mac computers when wearing your Apple Watch in the same vicinity. Simply wake up the Mac and you'll be ready to go without typing a password. The first time you do log in after turning on, restarting or logging out of the Mac, you'll have to enter the password on the Mac. However, from then on, you'll be ready to go without typing. Apple Watch won't unlock your Mac? Make sure your Mac has Wi-Fi turned on. Make sure your Mac has Bluetooth turned on. Your Mac isn't using Internet or screen sharing. Your Mac has "Allow your Apple Watch to unlock your Mac" selected in Security & Privacy preferences. Both your Mac and Apple Watch are signed in to iCloud with the same Apple ID. To do so, hit the top left on your Mac, go to the Apple icon > System Preferences then go to the iCloud tab. Then, on the iPhone, open the Apple Watch app, go to General > Apple ID. Hey Siri, what the devil can you do from my wrist?